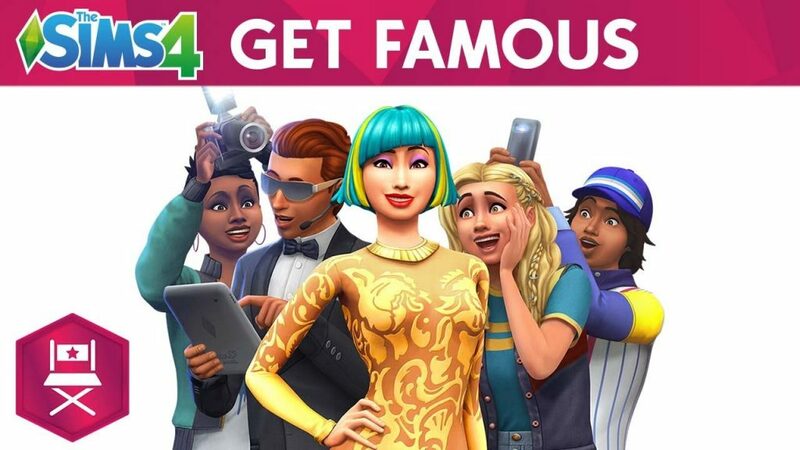 EA and Maxis have confirmed the latest expansion pack to The Sims 4, Get Famous, will launch on PC and Mac on November 16, 2018. The main thrust of this new expansion is to embark on an acting career to, well, get famous. You’ll be navigating auditions, taking up various roles, and even embracing social media to further your influence and your ever-increasing group of followers. Will you be the next star, or hit tomorrow’s Z-list? In The Sims 4 Get Famous, Sims can launch into celebrity status with an all-new acting career. They can catch their big break through a standout audition, landing a role in a television series or commercial gig. Aspiring Sims who go the extra mile by both looking the part and studying lines can take their career to the next level with a starring role in the next big blockbuster. Sims can also bask in the limelight as an inspiring influencer, live-streaming every lavish moment and giving other Sims maximum #FOMO, or even by gaining worldwide acclaim in their current career. No matter a Sim’s claim to fame, they’ll be able to attend exclusive parties with the stars, outrun starstruck fans, truly experience the VIP lifestyle of their dreams, and more. The Sims 4 Get Famous expansion pack will launch on PC and Mac on November 16, 2018.